If someone dies and you find yourself the trustee of trust, you might want to skip the trust accounting to cut costs and reduce the work load. Don’t. Probate Code 16060-16064 requires trustees to account to beneficiaries and provide them with information about the trustee’s administrative decisions and acts. Keeping detailed and accurate records, as well as a formal accounting, ensures that the trustee can fulfill the probate code requirements, avoid law suits, and offers the trustee liability protection. If a trustee is sued for failure to keep proper records, accounts, or provide information to the beneficiaries, the trustee can be held liable for breach of fiduciary duty, contempt, and damages, and in some cases, attorney fees. The trustee cannot appeal a court order compelling an accounting. If the court orders an accounting, the trustee must prepare one. If a trustee cannot justify disbursements, he or she may be ordered to reimburse the trust out of his or her own pocket. The good news is that the law presumes that the trustee is acting on good faith and regularity. So once the trustee has presented the account and provided evidence as to its correctness, the burden of proof shifts to the objector. Under the rules of discovery, the objector, usually a beneficiary, can request to see all records of the trustee’s administrative acts. Consequently, the lack of detailed records is no defense to a claim for trust mismanagement. A Trust Attorney will tell you that the penalty for wrongfully taking, concealing, or disposing of trust property, using undue influence in bad faith or through the commission of elder abuse, may be twice the value of property received and for attorney fees and costs, as well as removal from the office of trustee. 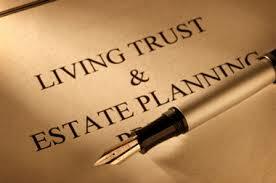 For the trustee’s own protection, good records and a proper probate accounting offer the best liability protection. Most trustees do not act in bad faith, but are rather simply unorganized or busy. The trustee can hire accountants, bookkeepers and attorneys to help. Thorough, records provide a cumulative description of the administration to provide to beneficiaries. Open communication to the beneficiaries regarding the administration often avoids misunderstandings and litigation. Considering the probate code requirements, avoidance of a law suit, and the liability protection, a formal trust accounting is worth the cost and time and effort. A Cloverdale Trust Attorney can help.